Restaurant on Phatamnuk Hill Pattaya . 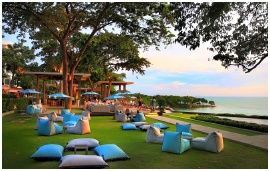 The atmosphere, the beautiful scenery that is second to none, " The Sky Gallery Pattaya " with a natural backdrop. A memorable views of Pattaya Bay and a picturesque sea and sky scenery. A perfect memory for lover family and friends.
" The Sky Gallery Pattaya " is the restaurant . Finest quality coffee and bakery cafe Serving breakfast, snacks , tea, light menu with such as sandwich.
" The Sky Gallery Pattaya " is the restaurant . Semi Bakery Cafe Serving breakfast, snacks , tea, coffee , cakes , desserts, coffee, tea , focus on various light menu with delicious snacks and bakery that tastes good. เดอะสกาย แกลเลอรี่ พัทยา เปิดบริการทุกวัน ตั้งแต่เวลา 06.00 - 24.00 น.